Many people believe that Dwayne “The Rock” Johnson is one of the greatest wrestlers of all time. His accomplishments in the pro wrestling business backup that mindset. However, in the eyes of “The People’s Champion,” he has his own top three list of wrestlers who fit into the category. 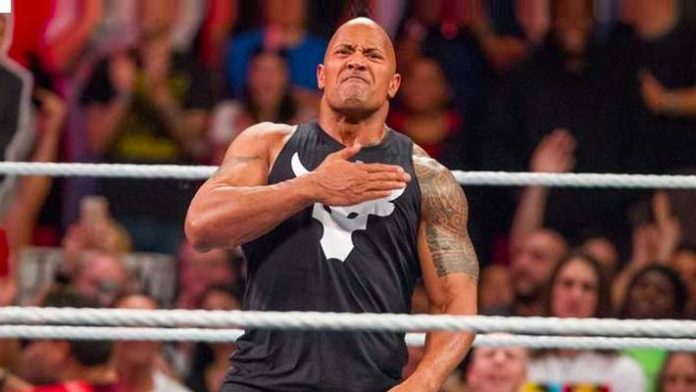 Rock elaborated on this mindset during a recent post on his official Instagram account reflecting on his match against Hulk Hogan at WrestleMania 18 in 2002 at the SkyDome. The Rock is regarded as one of the greatest professional wrestlers of all time. He picked up his popularity in the mainstream while working in the WWE from 1996 to 2004 and was the first third-generation wrestler in the company’s history. He returned to WWE part-time from 2011–13 and continues to make sporadic appearances for the company. Every year there is speculation on whether he will appear at WrestleMania. He hasn’t wrestled since WrestleMania 29 against Cena but did have technically a match with Erick Rowan at WrestleMania 32 but it was very brief. As of this writing, WWE has yet to confirm his status for WrestleMania 35.